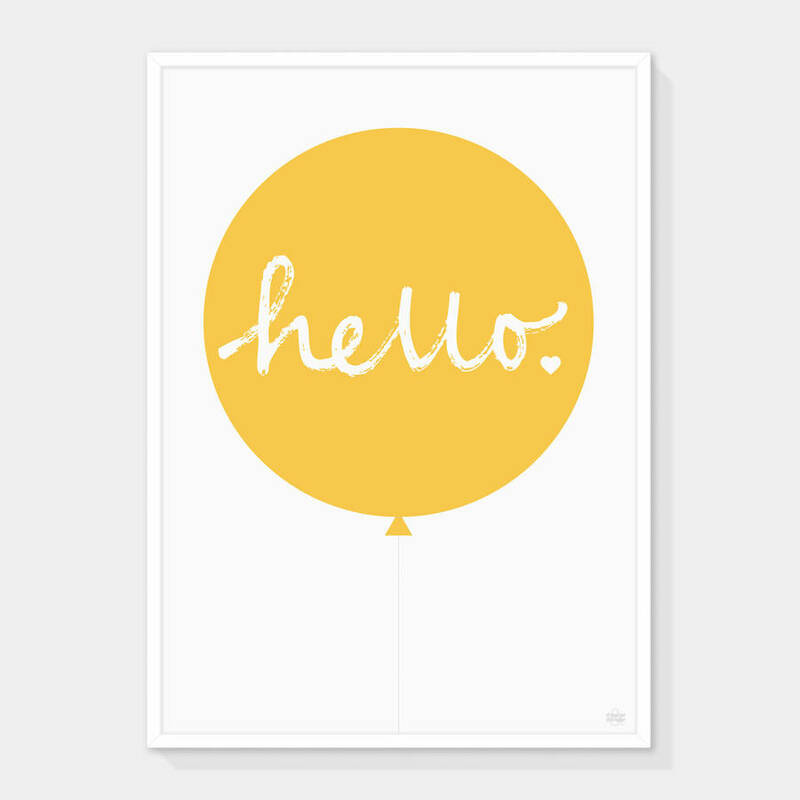 A new arrival from Showler and Showler, our fun 'Hello' balloon print in yellow, the perfect way to add some colour to your walls. 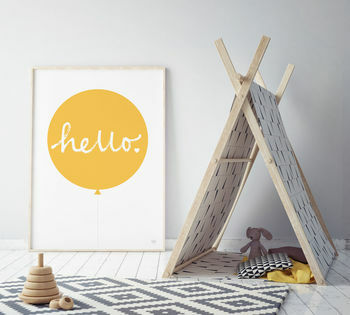 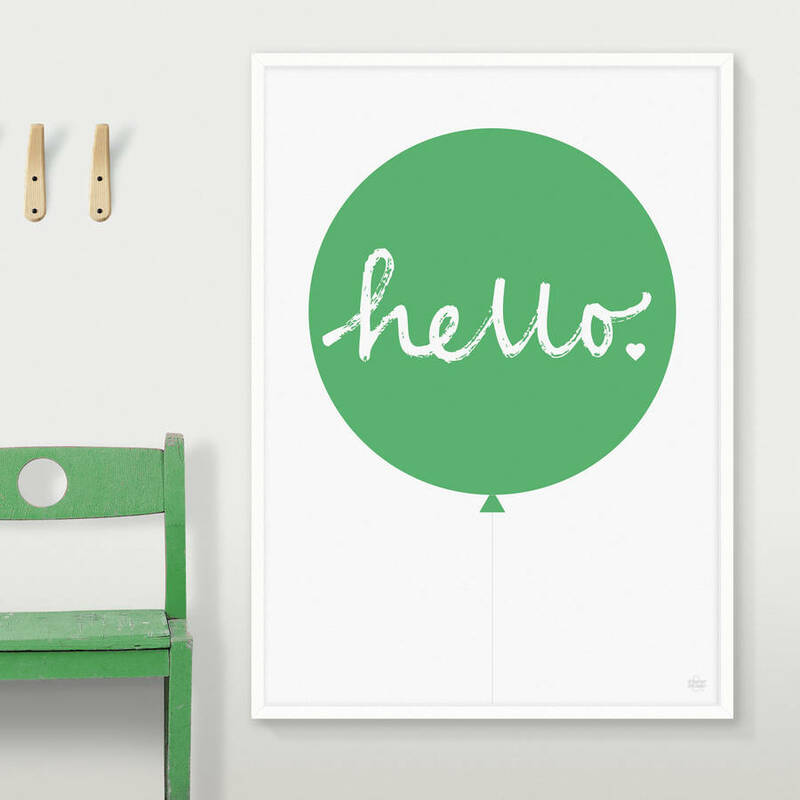 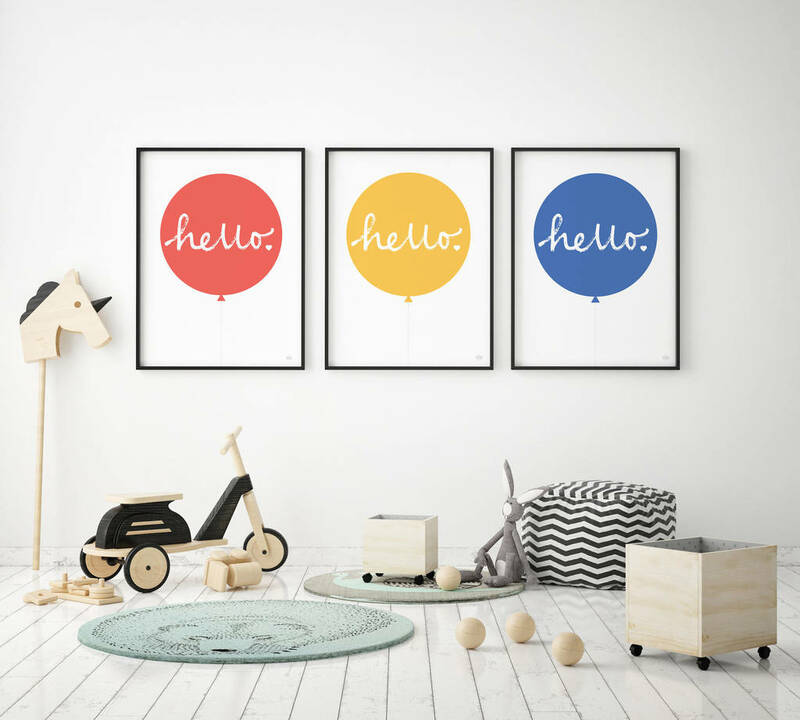 Our 'Hello' balloon print would look equally great in a grown up space or a child's bedroom or play room, and would make a lovely gift for someone special or of course, why not treat yourself. 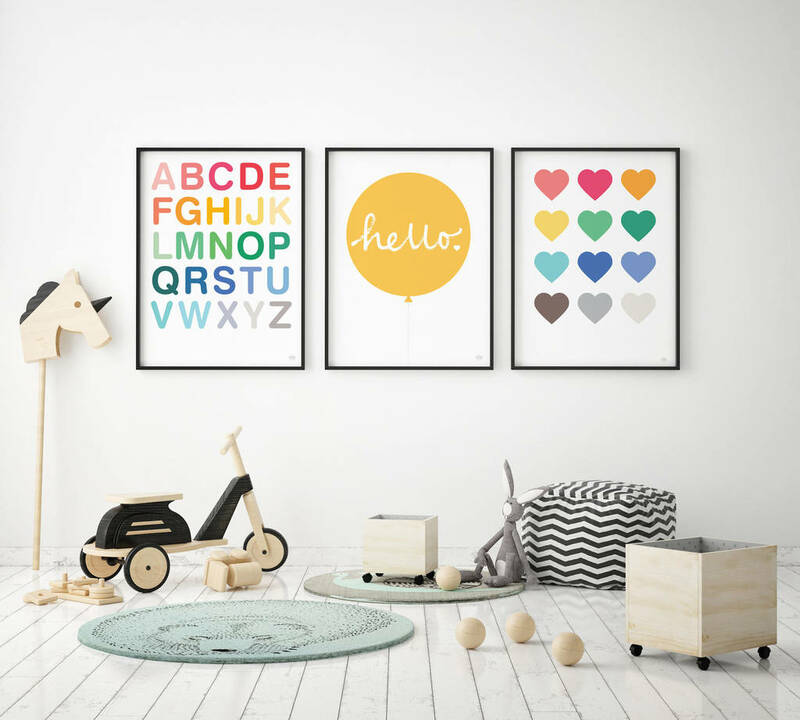 All of our prints are of the highest quality and lovingly printed in the U.K.
All of our prints are designed to fit standard off the shelf frames from retailers such as Ikea and Habitat. 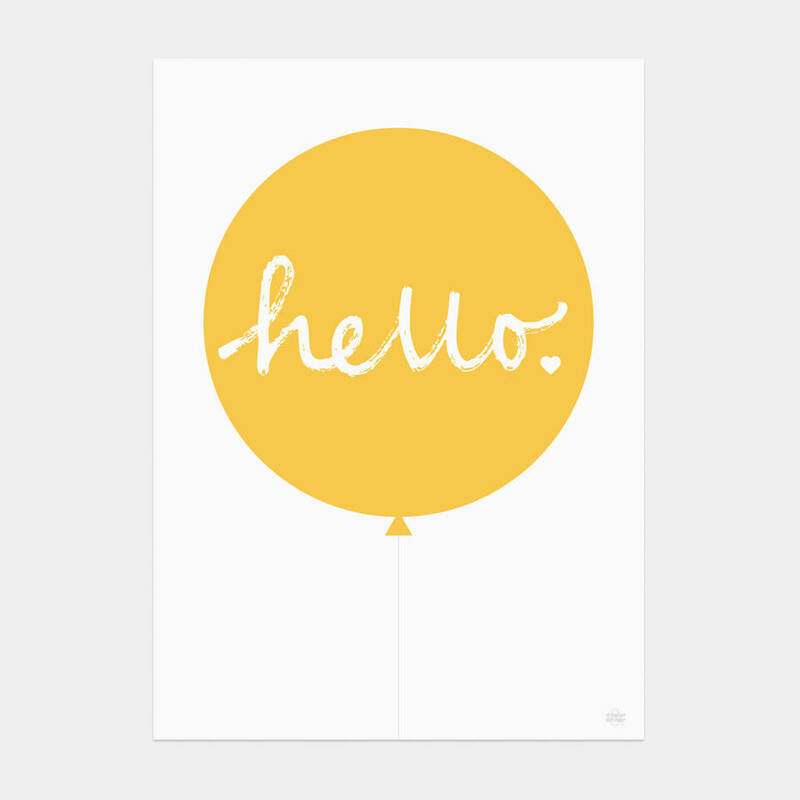 Our 'Hello' balloon print is printed using lightfast inks on beautiful 230gsm premium paper with a contemporary matt uncoated finish.